October 19, 2018 By Stacy Leave a Comment By clicking on our links, we might make a SMALL commission - Thanks for the support! See our full DISCLOSURE here. 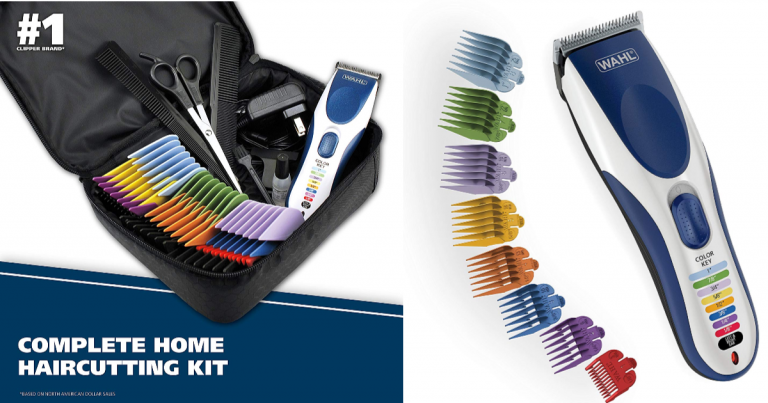 Head to Amazon and snag a deal on this 21-Piece Wahl Haircutting Kit for only $21! Color coded guide combs make it easy to remember everyone’s favorite hair length. Color coded keys make it easy to correspond the correct comb to the right setting. Powerful, long-lasting rechargeable battery with a run time of up to 60 minutes.